This adorable little Koala Bear is ready for Valentine's Day or any occasion! 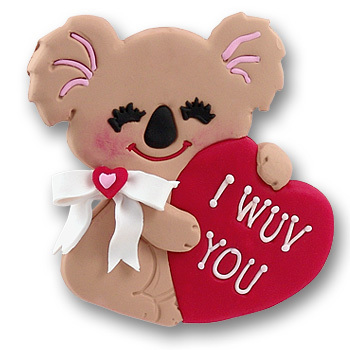 This Koala Bear ornament comes complete with a heart that says "I wuv you". May be personalized with a name and year absolutely FREE!